For small sports teams, bachelorette parties, church groups, and more, the 18-passenger minibus is the perfect size for everyone to ride together. This bus comes with a professional driver who is happy to take you anywhere you’d like to go. Check out all of NYC’s incredible sights from the comfort of your own private minibus! 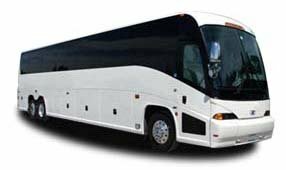 No matter the occasion, NYC Charter Bus Company can quickly pair you with the best bus and driver for your group. We’ve partnered with hundreds of clients to plan transportation for weddings, schools, companies, sports teams, and more. Start planning your trip today by calling us 24/7 at 212-756-1283.